Let’s say that you have a child who struggles to learn in one or more areas of academics. You’re not sure what the trouble is, but you really want to help your child. The natural next step is to hire a tutor, right? Let’s say that one of those difficult subjects is math. You hire a math tutor. 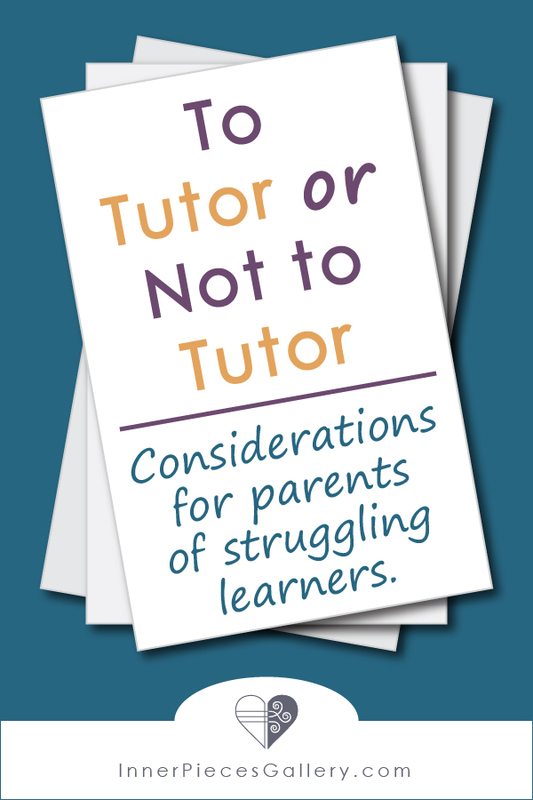 Your child works with the math tutor for weeks or months, yet nothing seems to click. Your child still struggles with math. First of all, why are your (expensive) attempts to help your child not working? Second of all, what now? When I was in high school taking algebra, I tried the tutoring route myself. As an otherwise successful student, I didn’t understand why algebra made no sense to me. To the dismay of my math-major father, tutoring didn’t change that. It wasn’t until college, when that particular part of my brain was ready for algebra, did it all suddenly click. Maybe I was a late bloomer in math. My concrete thinking brain just wasn’t ready for abstract reasoning at the time. As it turns out, the developing brain begins transitioning from concrete to abstract thinking anywhere between 12 – 18 years of age. Was it my lack of Lego-playing as a kid that landed me on the later end of development? Had I played more spatial puzzles and games, would this development have occurred faster? The jury is still out, but my strong suspicion is that more practice with spatial awareness, logic and reasoning would likely have helped the process along. What we do know is that we can’t force learning on brains that aren’t ready. A math tutor helps us practice math. That’s it. A math tutor does not strengthen the cognitive abilities that we required to be successful at math. Okay. What if reading is the challenge? What if your third grader still can’t read? Surely your child’s brain is ready for reading by then. Or is it? For most students, the answer is yes. For some, especially those who struggle, the answer is no. And instead of hiring a tutor to practice the same reading drills over and over, which your child’s brain isn’t ready for, we may need to go back and build the cognitive connections that your child requires in order to be successful at reading. For students with learning difficulties (unfortunately also known as “learning disabilities”), I often recommend educational therapy. Until our schools finally come around and offer legitimate educational therapy the same way they often offer speech therapy or occupational therapy, this means that hiring an educational therapist can be much more expensive than that math tutor you had hoped would work. If you can afford it, though, run, don’t walk, to find a qualified educational therapist near you. I think that partly because this type of therapeutic intervention can be so cost prohibitive, finding a qualified educational therapist near you can be challenging. We just don’t have very many to go around. I do have a possible alternative for you, however. If you’re interested in a comprehensive online course for parents who are ready to roll up their sleeves and take their child’s learning transformation into their own hands, please add yourself to the waiting list. You’ll be notified when the course launches next.